I decided that I wanted to choose fantasy but I couldn't easily find a Top 10 Fantasy book list - so I decided to do five books that I've read and five books I plan to read asap! I feel almost cheating putting this one down considering I only just finished it a few days ago, but I loved it. 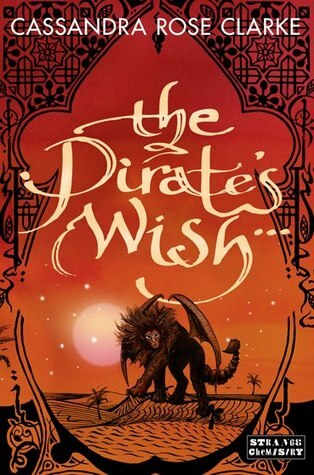 The characters were amazing, the romance was adorable (you just wanted to squish them together so badly), and it has magic and assassins and PIRATES and oh my gosh just everything. I can't imagine that there would be many people not including this into a top fantasy list. This story was...IS...phenomenal. I am so beyond excited for the final book for the series - I'm honestly counting down the days. I'll definitely be re-reading this one before I read the final book as well. Such a rich beautiful world with amazing beautiful characters. Gah. This is another one that I read earlier this year and I LOVED it. I loved this series and it was so hard to pick a single book that I loved the most of it - but I suppose the second. The characters are amazing, the romance is PERFECT, the antagonist was terrifying and the plot was so gripping. Was so hard to put this little beauty down. DRAGONS DRAGONS DRAGONS DRAGONS DRAGONS GAHHH. I love dragons to BITS. Any dragon book is a good book in my eyes. I haven't read the final book in this series, but I plan to get around to it this year sometime. A seriously amazing, phenomenal, well-built series. Love it to bits. Okay guys, once the paperback is released for the final book in this series, I WILL be reading it. I know so many people who rave about this series, and I've been eyeing it for a few years now. NEED IT IN MY HANDS. I admit that I only found out about this series this year but it has been seriously hyped up across Booktube and I'm a sucker for fantasy, so yeah. It's going to be read. SOON. I didn't know if this series was one that I wanted to get around to reading soon until I started seeing the reviews for the second book, and so many people are falling in love. And it looks so interesting and good and GAH feels. .......why haven't I read this. EEEKKKKK! LOVING YOUR LIST!!!! I'm a huge fan of fantasy! I actually picked it for my genre too. So happy to see that you have Falling Kingdoms on your TBR list. I just finished it a couple weeks ago and LOVED it! It's definitely one of my favorite High fantasy books. The Mistborn series or Brandon Sanderson in generally is an author I've been dying to read for a while now. I wish I had more time in my life to just sit down and read all of his masterpieces!!! Throne of Glass is one I'm about to read, which I'm uber excited about. Shadow and Bones was great and so was Daughter of Smoke and Bones series...HURRY UP APRIL~ I'm so ready for Dreams of Gods & Monsters!! Damn I can keep going on and on and on about fantasy and all the great books and authors and blah blah blah.............LOL! Thank you so much!! Fantasy has always been a genre that I've loved, even as a little kid. Have you read the second book in the Falling Kingdoms series? AND OMGOSH YES DREAMS OF GODS & MONSTERS. Need this book in my life ASAP. Man I know it is going to ruin me and wreck me but WHO CARES. It'll be brilliant. I haven't been reading a lot of fantasy lately, but these all sound excellent! I love the way you formatted your list! Throne of Glass and Shadow and Bone are definitely amazing YA fantasy novels - so I'm interested in seeing what you think of them when you read them! Thanks for sharing and great choices! I hope you get around to reading some more fantasy soon! It's such a great genre as long as you're in the mood for it! x) I'm so excited to read them toooooo.